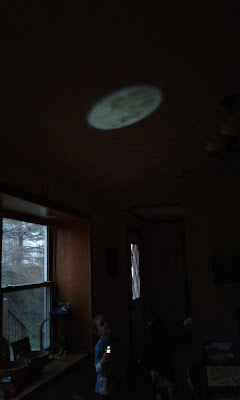 The day started out with a present by his door from Grandmommy and Granddaddy: books, money, and a moon torch! 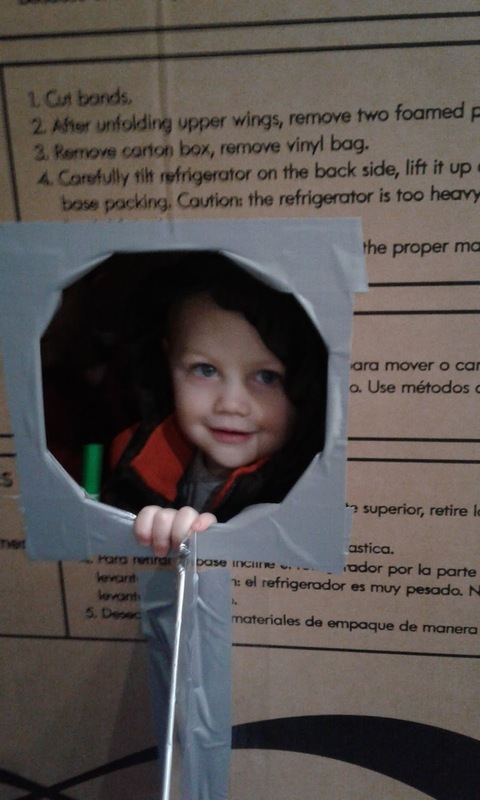 This super-cool flashlight was the perfect item for a space-loving boy! 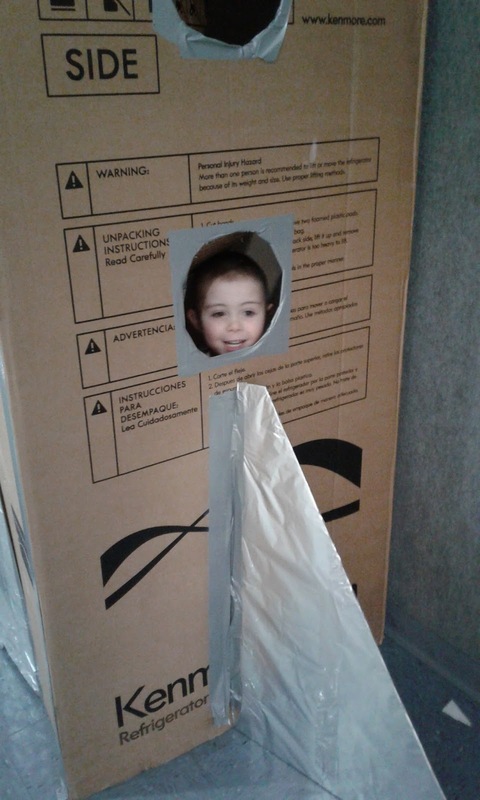 This pretend rocket ship was the biggest hit of the party! 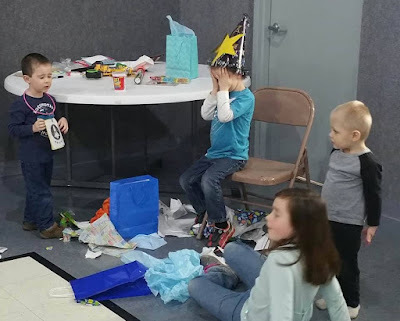 At least one child was in this pretty much the entire time!! 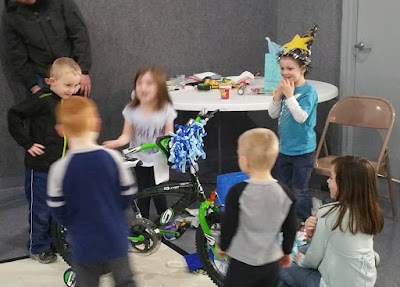 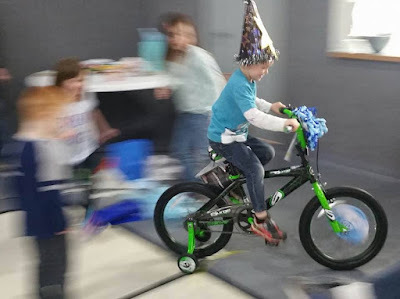 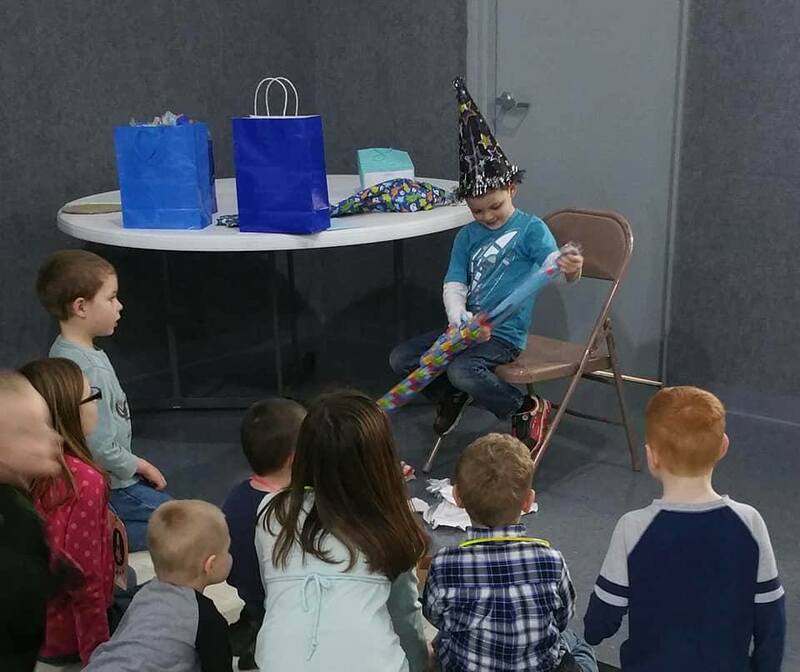 It took me a few hours to construct, but it was worth all the time and effort to see the absolute DELIGHT it brought to all the kids, especially the Birthday Boy! Pretend play is the best! 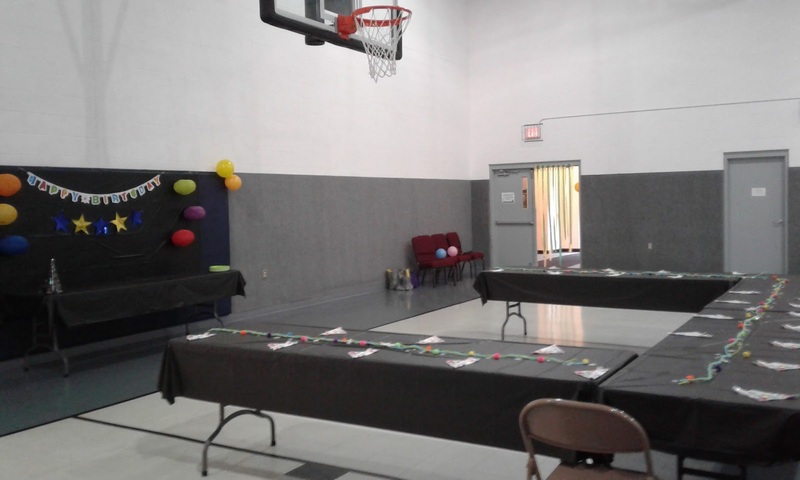 As the children arrived, each one was given a glow stick necklace with a badge on it. 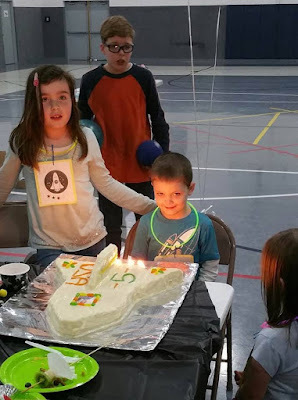 Every time they completed a "mission" (a game or activity) as part of their "astronaut training", they earned a star sticker to go on their badge. 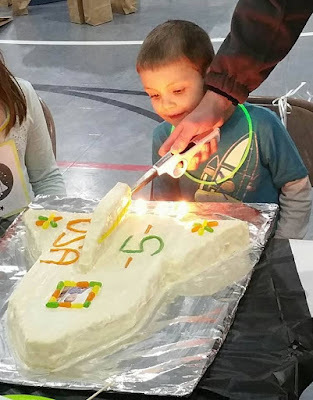 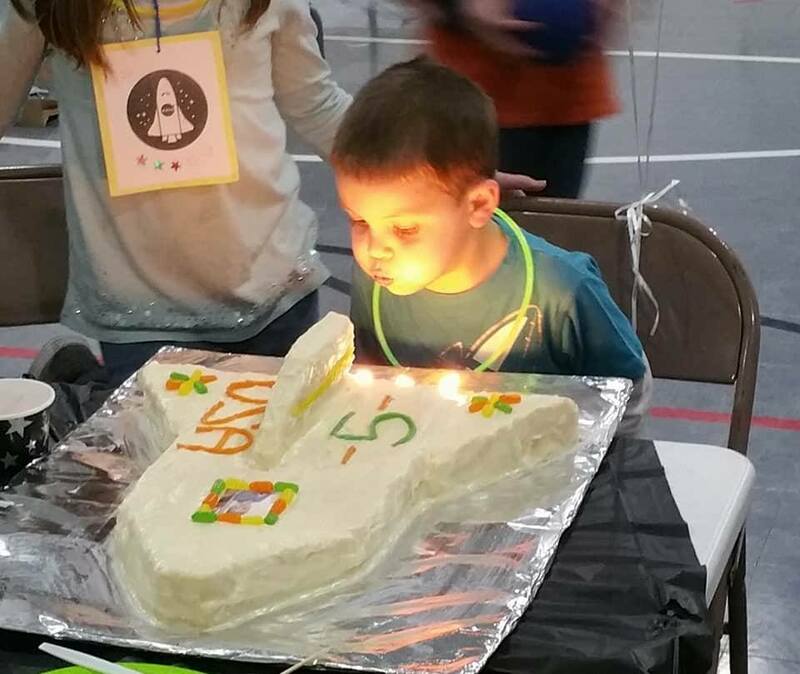 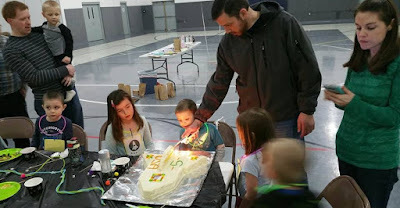 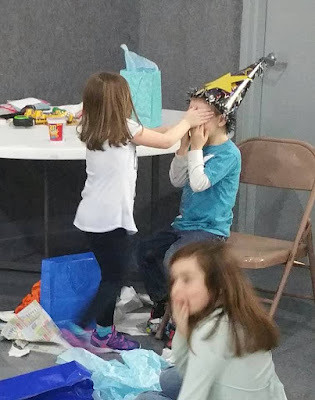 During the party, the children made their own rockets and launched them with straws by blowing on them, raced to the moon, landed the lunar rover on the moon blindfolded, "repaired the space shuttle" (Lego towers) while wearing big disposable gloves, hunted for moon rocks, and did a science experiment by making "galaxies in a bottle". We also had a lunch of hot rocket dogs, macaroni and cheese, fruit rocket kabobs, planets to munch (grapes and blueberries), space crunch (pretzels and raisins), and pickles. 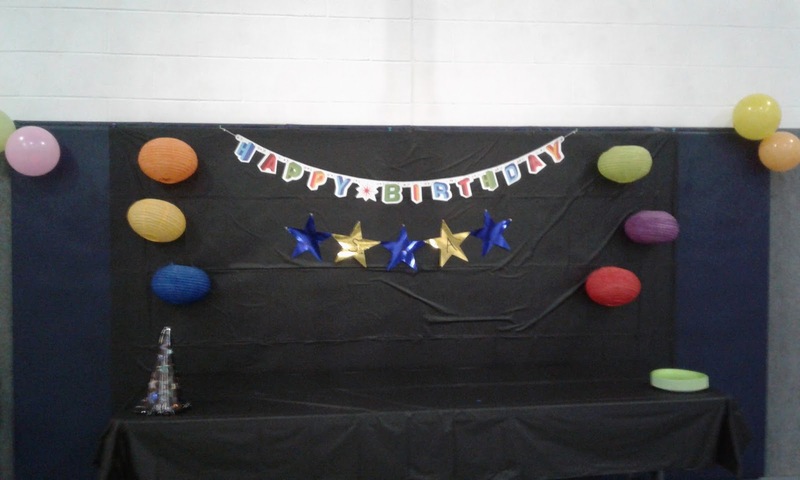 The following pictures are compliments of my friend, Jessica, who was kind enough to snap some memories of the party for me! 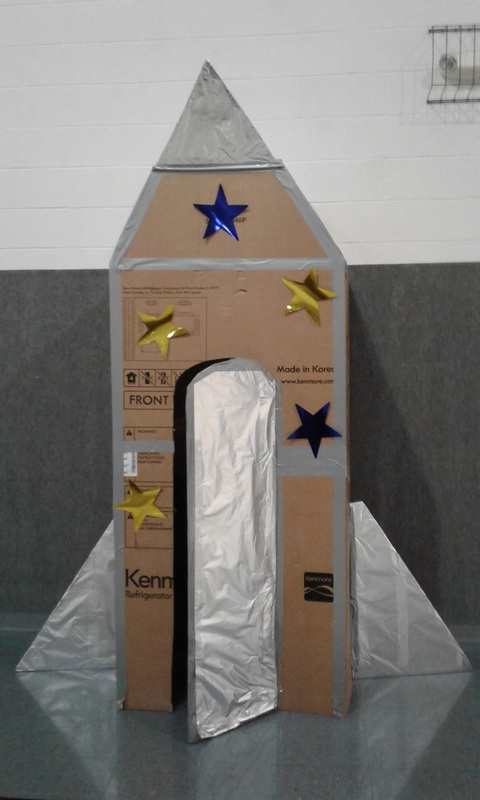 Getting ready to blast off! Lemon cake is his favorite! 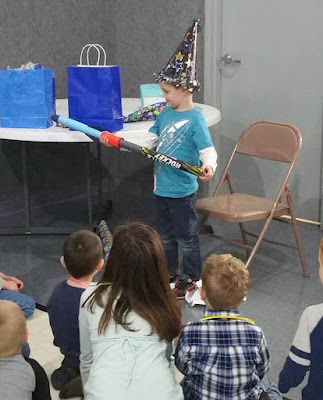 He loves his super cool rocket launcher from Aunt Elizabeth! 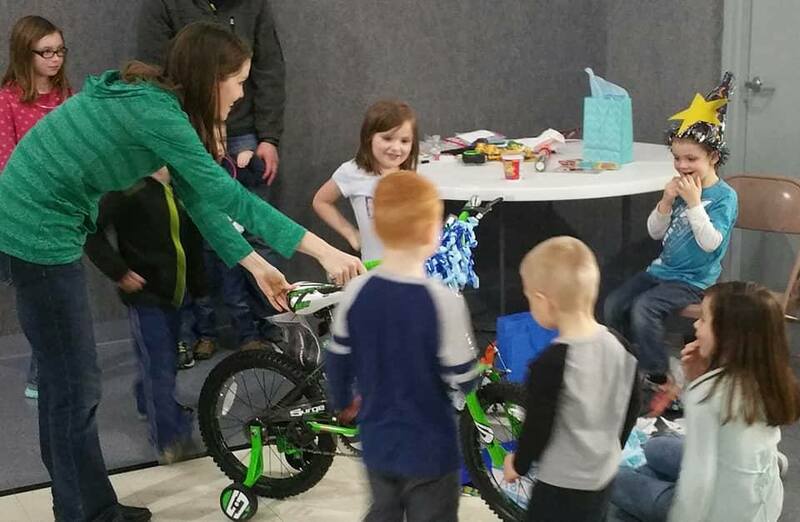 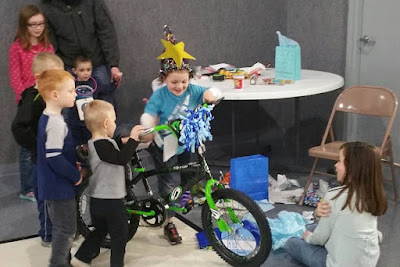 Seeing his BIKE for the first time!